The social learning theory of crime integrates Edwin H. Sutherland's diff erential association theory with behavioral learning theory. It is a widely accepted and applied approaches to criminal and deviant behavior. However, it is also widely misinterpreted, misstated, and misapplied.This is the fi rst single volume, in-depth, authoritative discussion of the background, concepts, development, modifications, and empirical tests of social learning theory. Akers begins with a personal account of Sutherland's involvement in criminology and the origins of his infl uential perspective. He then traces the intellectual history of Sutherland's theory as well as social learning theory, providing a comprehensive explanation of how each theory approaches illegal behavior. 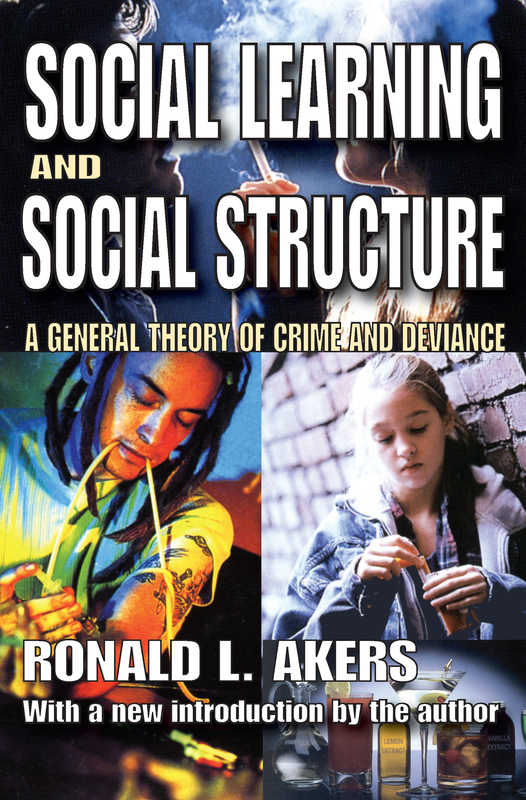 Akers reviews research on various correlates and predictors of crime and delinquency that may be used as operational measures of differential association, reinforcement, and other social learning concepts.Akers proposes a new, integrated theory of social learning and social structure that links group diff erences in crime to individual conduct. He concludes with a cogent discussion of the implications of social learning theory for criminology and public policy. Now available in paperback, with a new introduction by the author, this volume will be invaluable to professionals and for use in courses in criminology and deviance.